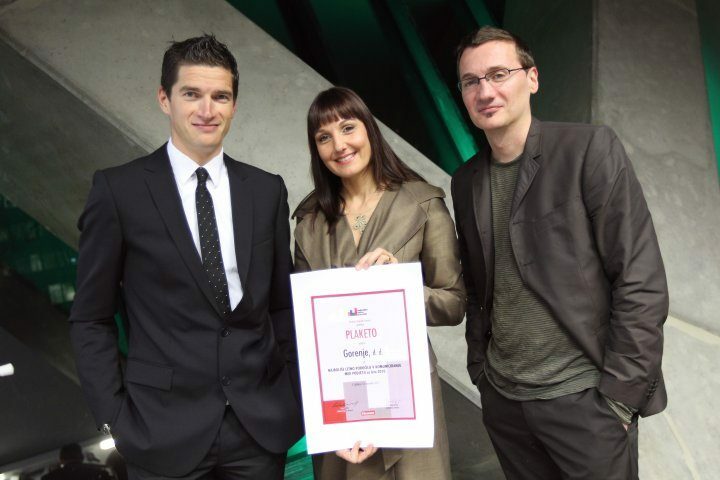 On November 10th 2011, Gorenje received the award presented by the Finance Academy and the Finance daily paper for the best annual reports in 2010. The award was received for the best annual report communication among all entries. Replacing the conventional hard copy annual reports, Gorenje has prepared their reports in electronic version only. Last year, the electronic version of the report was designed as an interactive web document that allowed the investors and analysts to display key information in interactive tables which rendered the data very convenient for further analysis. By publishing an interactive web report, Gorenje improved availability, convenience, and transparency of the data presented to allow the readers to quickly view the required information. This is Gorenje's second annual report communication award in a row. Franjo Bobinac, Gorenje President and CEO: "When putting together a mosaic of the year gone by and present it to the public as an annual report, we are focused on the convenience for the reader. Hence, quality and presentation of information are favoured over quantity. In designing the report, we are guided by innovation, design, and cost efficiency. Therefore, we abandoned the hard copy version and decided to upgrade interactive web solutions which improve the experience both at first sight and at advanced use as they allow simpler searching, collection, and combining of data, textual and graphic highlighting, options to export the graphs and tables etc." This is Gorenje's fourth award received in the Finance daily paper and Finance Academy best annual report contest.